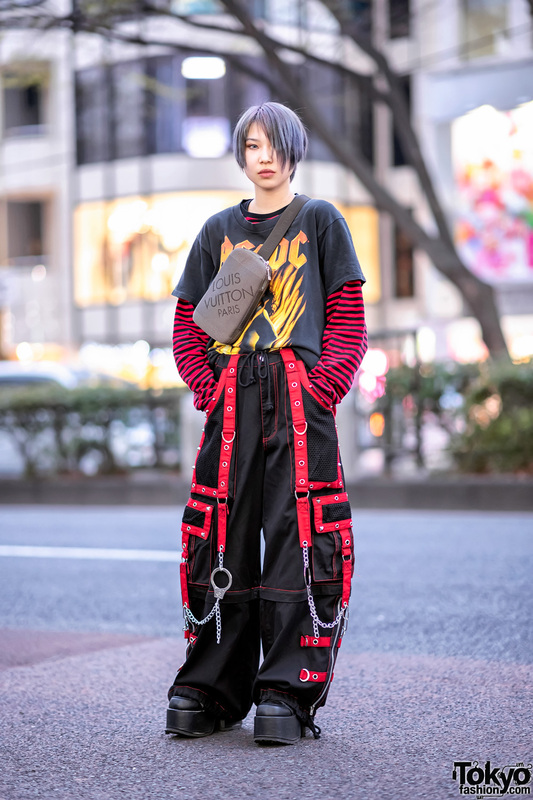 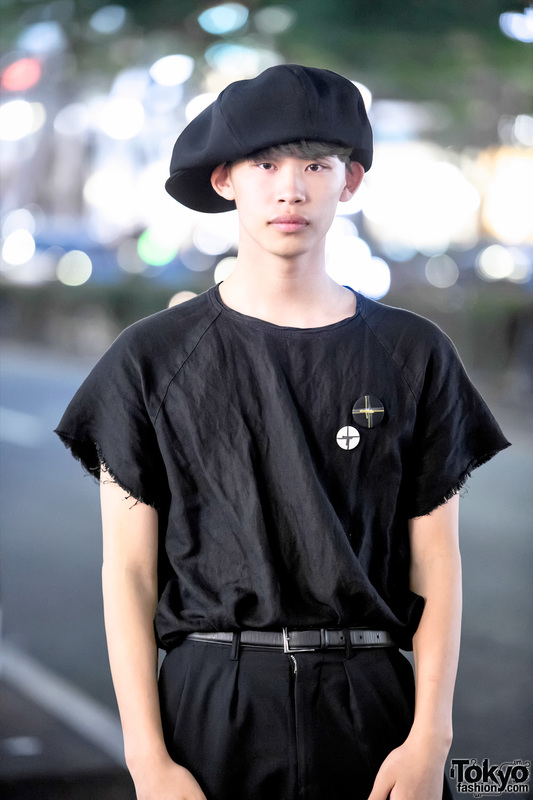 Yura is a 17-year-old Japanese model and high school student who we street snapped in Harajuku at night. 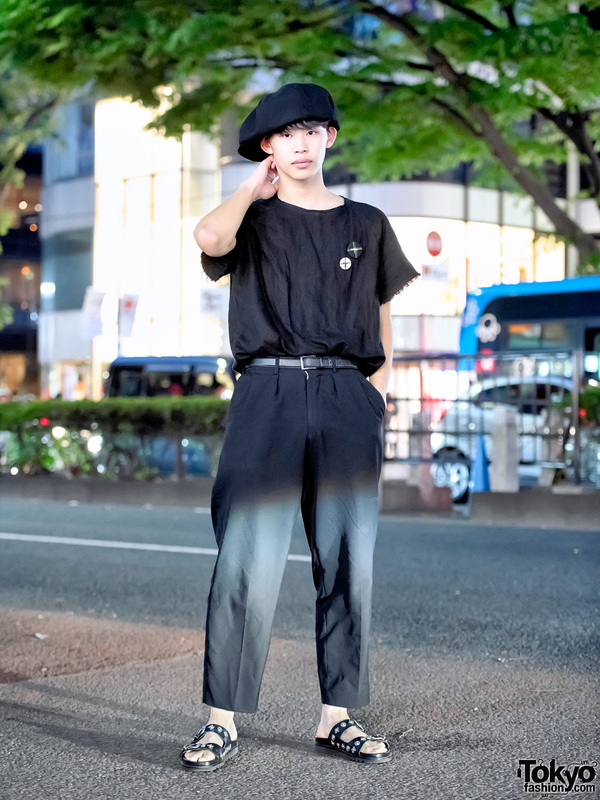 Yura’s minimalist Japanese street style features a black t-shirt decorated with buttons by the Harajuku-based designer Christopher Nemeth with belted Yohji Yamamoto pleated pants, Toga sandals, and an oversized beret. 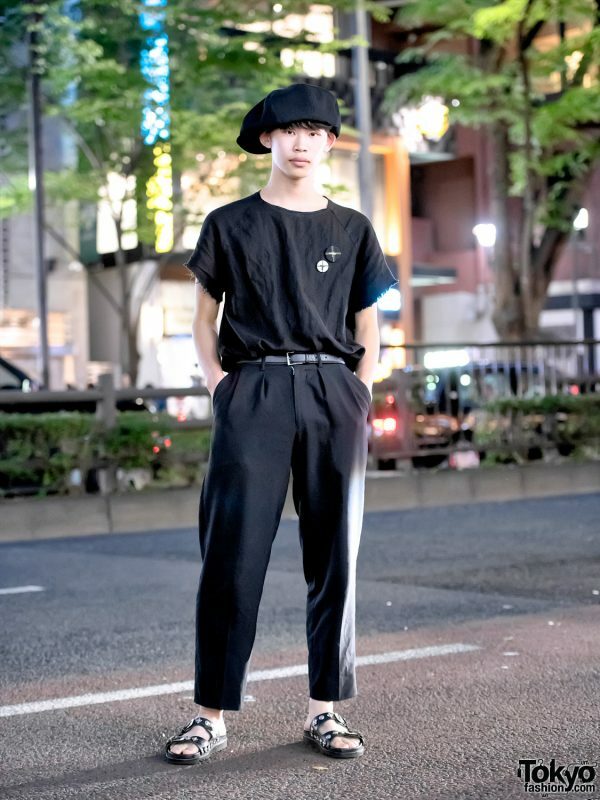 Yura’s favorite fashion brand is Yura and he enjoys listening to hiphop music. 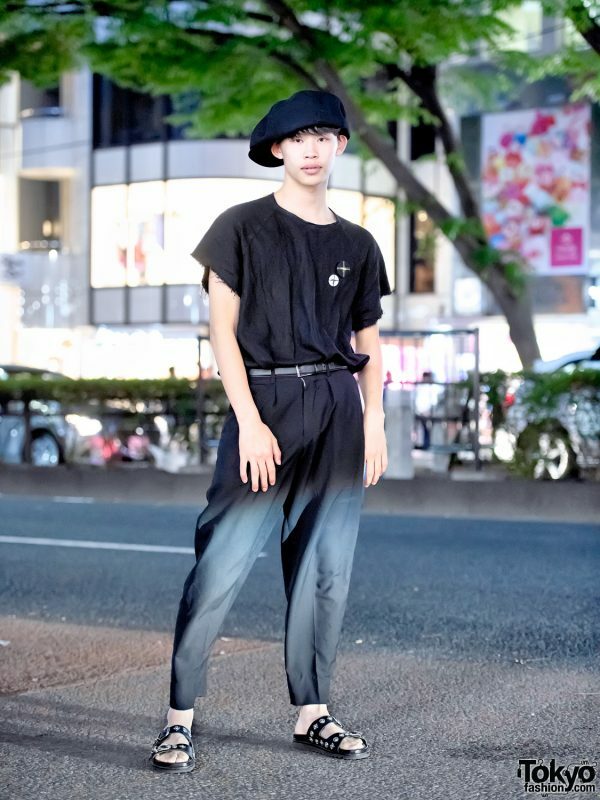 Follow Yura on Instagram for more of his daily fashion.